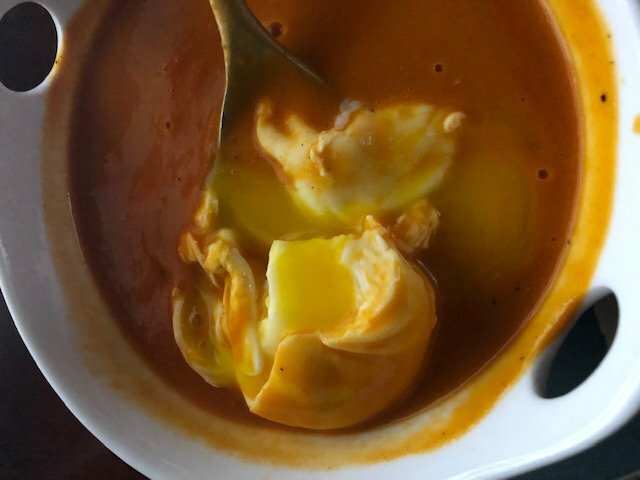 How to: Poach Eggs ~ #yumsteemCreated with Sketch. 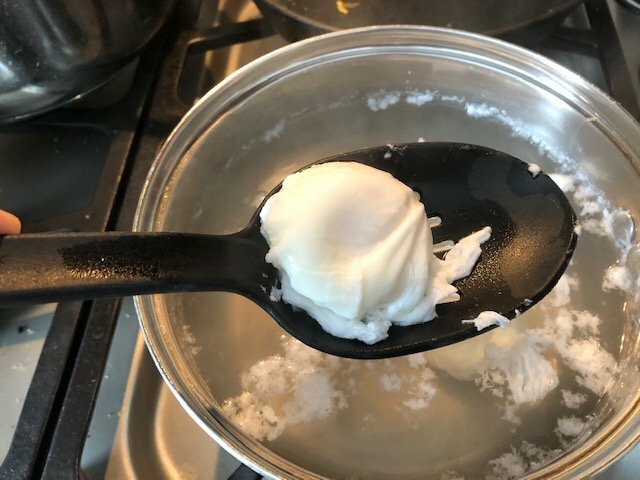 Have you ever poached an egg before? I hadn't until not that long ago. The whole idea of dropping a raw in egg in water seemed foreign to me, not to mention not understanding the rationale of doing so. But when I did learn, and realized what I could do with the technique, I was hooked. There are three main things you must get right to poach the perfect egg. 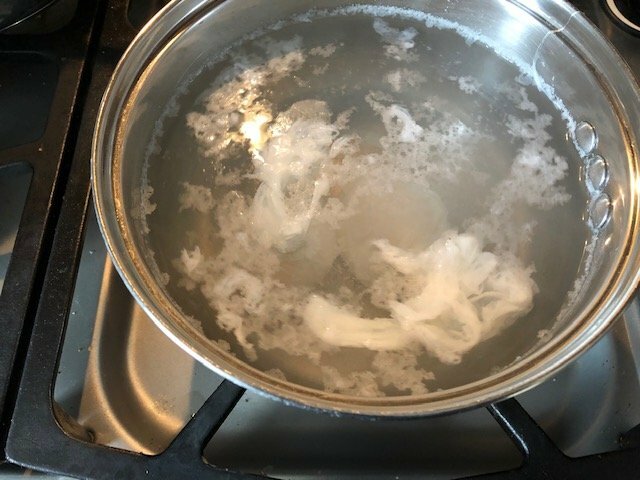 The first is to get your water boiling, and then turned down to a simmer where the smallest of bubbles are percolating. Too hot and the yolk will harden too fast. Not hot enough and the whites won't properly wrap and surround the yolk. The second thing is to crack your egg(s) into a container first. You don't want to drop the egg in straight out of the shell. So however many eggs you're going to poach, make sure you crack them into a separate bowl first. Third thing is to get the water spinning. 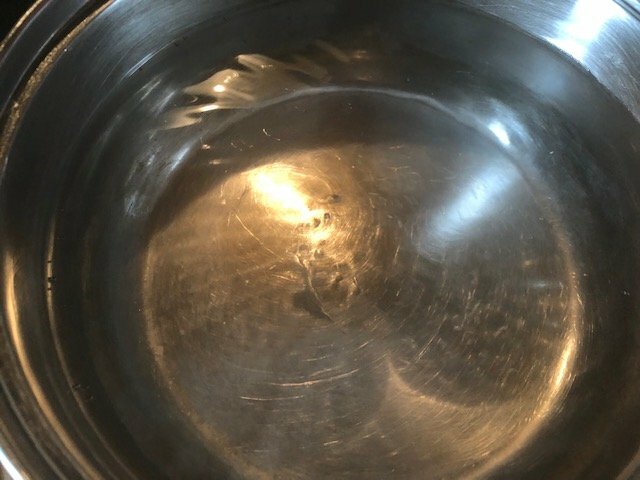 Use a spoon or ladle and run it around the water making a 360 degree swirl. 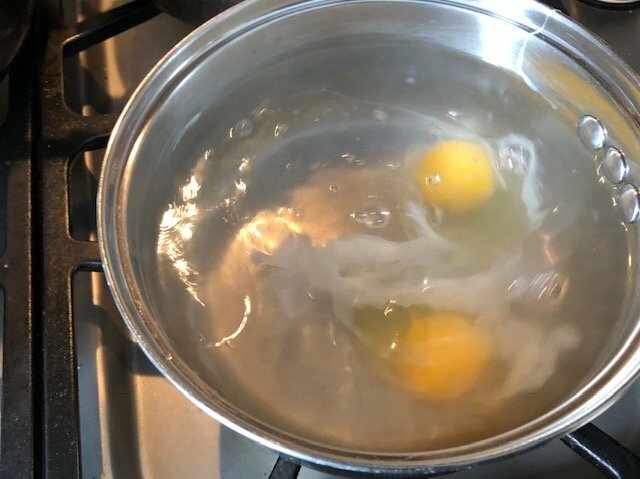 This gets the water spinning and when you drop your eggs in, they will flow with the water and it helps the white of the egg to surround the yolk. 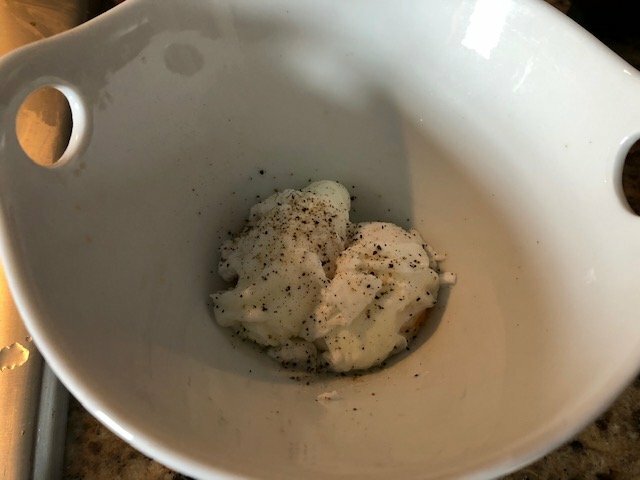 If done properly, you will have perfect poached eggs. 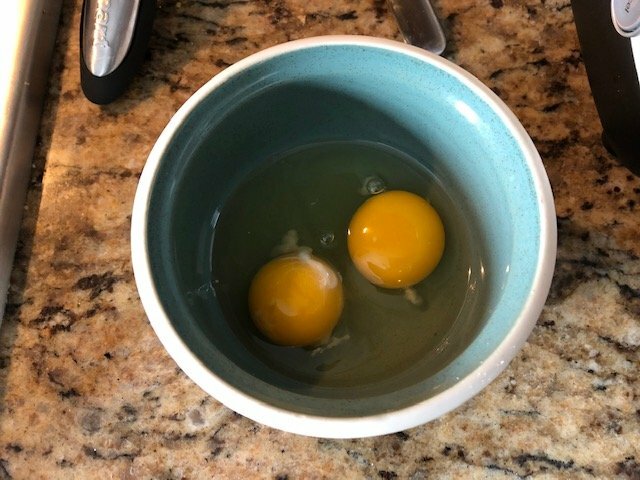 Depending on how runny you want your yolks, it should only take around 2-4 minutes in the water before you can take them out. 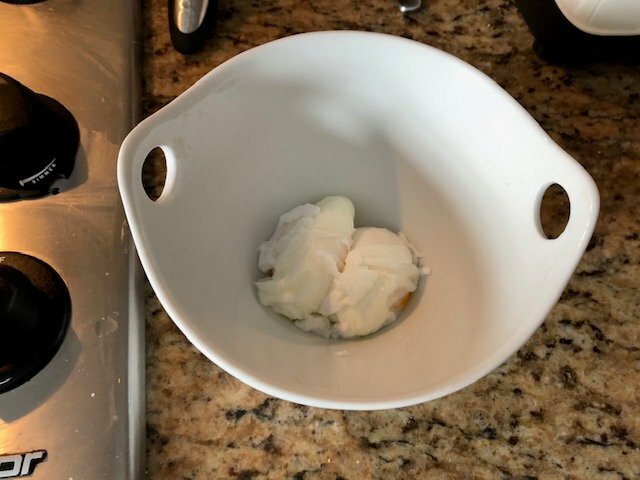 Making sure to keep the water swirling until you can no longer see the yolk at all. After my eggs are done, I put them in a soup bowl, drain the excess water, and top with a little salt and pepper. 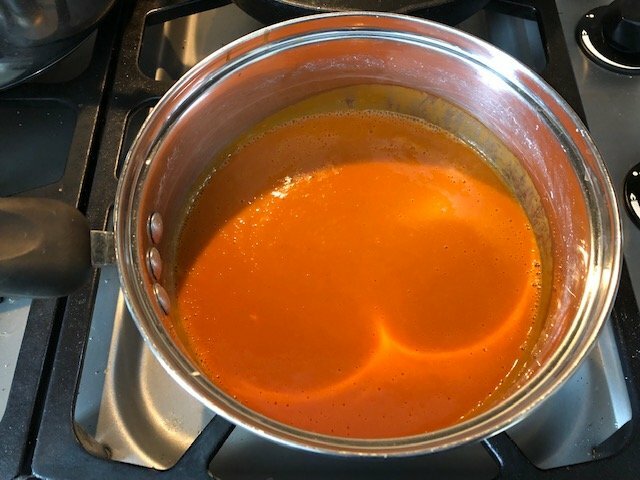 I then use the same pot and quick heat up some delicious roasted red pepper tomato soup. Once that's nice and hot, I pour the soup over the eggs and that will continue to poach the eggs a little bit too. 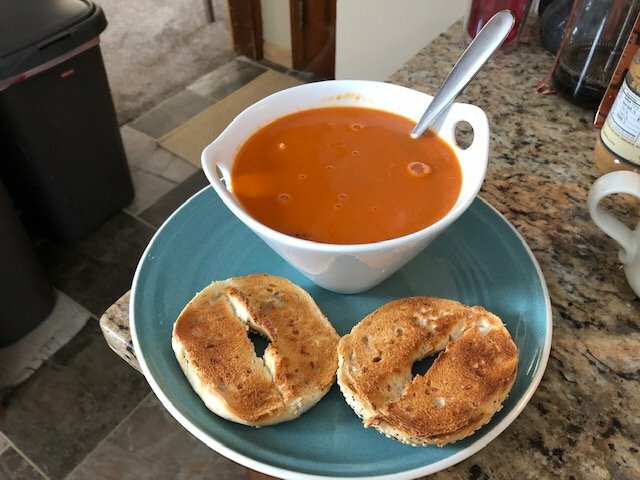 Add a nice freshly toasted bagel and you have yourself a delicious quick made meal. 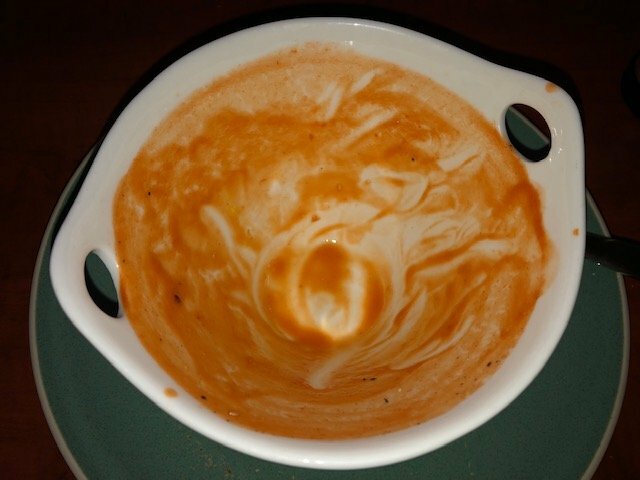 If all goes well, your bowl should look like this. This is high on the list of things I screw up every. Single. Time. Follow these instructions and you should be just fine. Let me know how it goes!